Who would play you in the movie of your life? The old campfire question suits when Sandra Bullock plays the benevolent mother to an unloved high school football player or when Judi Dench relives the journey of one Philomena seeking a lost son. But who will bravely take on the story of an alcoholic Christian recording artist who dies tragically in a car accident? Too much? Too messy? Too uncomfortable? Too many people continue to snub the Ragamuffin’s message…that we are all broken but that God still loves us. I loved so much about this film, produced by the Mullins family and directed by a friend: David Leo Schultz. I loved the almost documentary feel intertwining real recordings of Rich Mullins telling his own story and playing live performances on stages across America. I loved the casting. Michael Koch owned the role of Mullins whole-heartedly. And my friend Amy Schultz debuted beautifully as Amy Grant. I especially loved the truth in it. It’s not fluffy or cheesy or kitsch. It’s honest. And, I believe that it honors the hero of the film, but Jesus most of all. 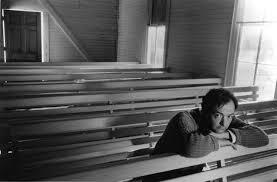 I remember when Rich Mullins died. I remember singing his songs in church. He was a kind of praise song pioneer. I remember the judgmental looks he got for his unkempt, rowdy, boisterous, rebellious Christianity in his ripped jeans and bare feet. Most people who complain about the church or about Christianity will blame hypocrisy. Perfection is unattainable, and churches are made up of imperfect people. It’s easy to forget, but forgiveness and acceptance is a simple ask away. Rich Mullins knew this. He spoke directly to the church about being real with themselves and others so people would know that Jesus came to save sinners, not just the people trying to look perfect. Mullins was refreshing. He struggled, and everybody knew it. Something in his swagger, his stammer, his unabashed truth telling, and especially in his honest music has shaped me and given me hope to help me through my own set of problems by relying on the giver of peace. Was Mullins the modern St Francis, the original hipster of sorts who refused to play by the imposed rules of Christian society? He certainly swam upstream in a current of Christian conformists in the 90’s. Rich Mullins allowed his stage to become a pulpit to draw the hearts of Christians back to Jesus and away from stuffy ritual and performance faith. 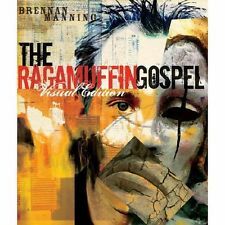 The Gandalf of this film is Brennan Manning, author of a beautiful book called “Ragamuffin Gospel.” Rich Mullins wrote the forward about honesty and frailty and how this concept of being a Ragamuffin had shaped and truly changed his life. Be careful going in to this film…you might just end up confronting your own demons and find out that you are indeed a Ragamuffin like the rest of us. The daddy issues may resonate in your own heart. You may feel conviction, but more so the discomfort of God’s acceptance despite your imperfections. Watch out; you might just meet Jesus. 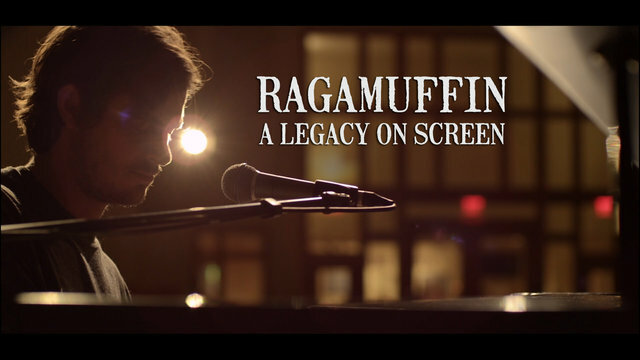 The DVD called Ragamuffin will be available on May 6. I saw this movie over a month ago and I am still messed up because of it. (I think that’s gonna be a good thing in the end.) Michael Koch’s renditions of Rich’s songs were just right. A wonderfully acted role, despite the weird wig long hair scenes…not quite sure what they were thinking there, but it’s such a shallow critcism when compared to all the things they could have done wrong. They made one heck of a good film and I am truly grateful.